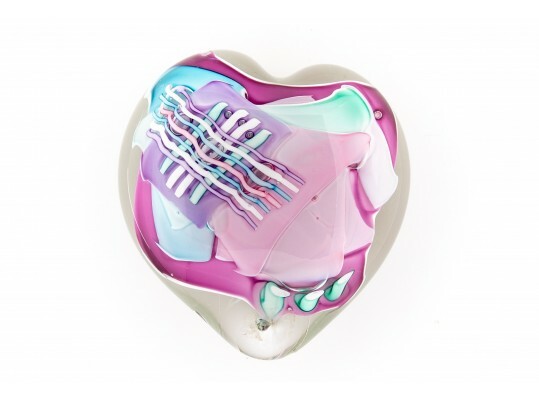 This art glass heart is comprised of various shades of pink, purple, teal and blue pastel glass pieces arranged in an abstract pattern with controlled bubbles. Base signed Schmidt Rhea 87. Condition: very good noting hard glue residue to lower portion from an old sticker.